This kind of game is intended for children of all ages, which by the way, love to watch cartoons. We know for such a long time that cartoons are the favorite children's entertainment and they never get bored. So, children can watch cartoons at any time of day and it can last for hours. Why children love cartoons? I have always asked myself that question. And now as an adult, but still a layman in this field, I can say that kids love cartoons because their content is closest to their imagination. We know that all children have a highly developed imagination that allows a variety of impossible situations. Unimaginable adventures can happen easily in the children's world. Therefore, very strange situations just like those are processed by cartoons. 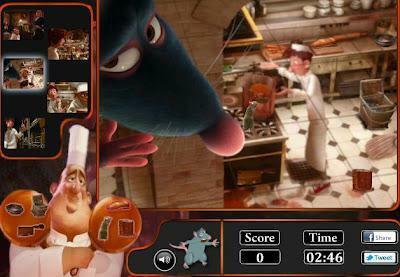 Here, for example, can you imagine a rat in the role of the chef kitchen? The answer is: only children can do it even extremely picturesque, just like the cartoons. I can only add that people who make cartoons never grow up and carefully kept the child inside. According to this fact, people who make computer games are trying to make games by a well-known children's movie. 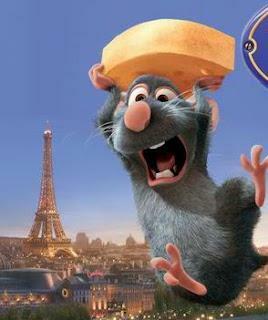 Surely, you've heard of Ratatouille. I invite you to peek into the kitchen of some French restaurant. Let's see how this cute rat prepares the most beautiful dishes. Are you curious a little bit?